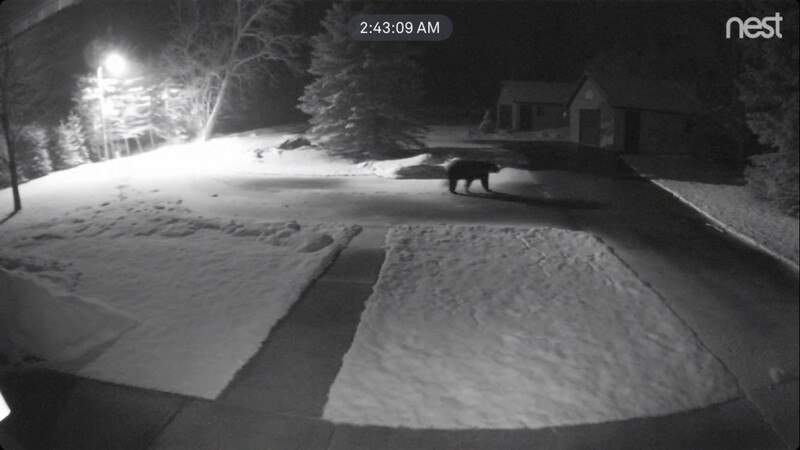 The bear started at Bill Bates place on the southwest side of Six Mile Lake and was caught on his trail cam at 4:45 am this past weekend. It was then seen Sunday morning climbing up a deck post and scaling the railing on Terri Flynn’s second story deck – traveling through Kim & Dennis Bilinski’s yard at 2am today. All on the west side of Six Mile Lake.